Under precious guidance of our skilled professionals, we are engaged in offering a wide range of Solid Brass Lamp Part. Owing to its remarkable quality, the offered lamp part is broadly demanded in the market. The offered part is manufactured by our deft professionals using finest quality raw material and latest technology. Since last 10 years we have developed inherent expertise as brass lamp parts manufacturers from check rings to finals. 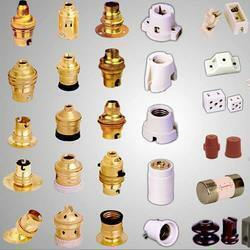 Our brass parts for lamp and lighting industries are sold in India and exported to USA and Europe. These brass lamp parts are available in raw, polished and plated finishes. We are whole sale manufactuerer of all kind of Lighting components. The Insulated range of lamp holders is manufactured from the special grade of plastic which prevented material, we also manufacture it in two types, Pendant or Bracket and Batten or Back Plate. Matching up with the requirements of our clients, we are involved in offering Wall Lamp Guard. We welcome enquiries from Government / Institutional customers as we are having a long history as a prominent supplier to this segment of customers. We offer to our clients a wide range of Decorative Shadow Lamp Parts. The use of superior grade of raw material in its manufacturing and our modern machining facilities also enable us to provide in them better finish and durability. 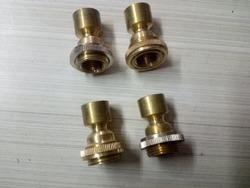 Being a leader in the industry, we are engaged in offering a qualitative range of Brass Back Plate to our clients.